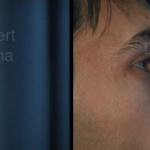 Below are some examples of Rhinoplasty For Men Before and After Photos by Dr Robert Drielsma, one of Sydney’s leading specialist breast surgeons. Unhappy with your nose? 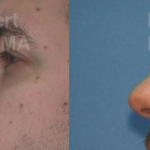 Check out our real Rhinoplasty for Men Before and After Photos. 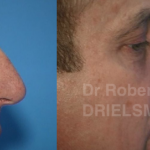 Dr. Robert Drielsma is Sydney’s expert Male Rhinoplasty plastic surgery specialist. With over 25 years of experience, Dr. Drielsma’s prides himself on fixing your flaws while maintaining your masculine look. Say goodbye to wonky, broken noses and overly feminine fixes, you will find your new nose complements your face and features. Male Rhinoplasty Surgery can be done “open” or “closed”, with scars hidden within the nose or the nasal crease for scar-minimising surgery. Regain your self confidence and masculine good looks with expert Male Rhinoplasty surgery. 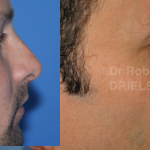 Rhinoplasty For Men Sydney by Dr Robert Drielsma. Male Rhinoplasty is one of the cosmetic procedures that can most greatly improve ones overall appearance. It is appropriate for adults, as well as teens, as long as they are about 16 years old and their facial growth is complete. More examples of Rhinoplasty For Men Before and After Photos are available at our clinic. These can be viewed during your consultation as some previous patients prefer we show their before and after images in our clinic.